Do you remember homemade Jam in a jar? Maybe the jar was labeled and maybe not. Or Grandma’s Cookie Jar? Or, delicious Dill Pickles from the family garden? 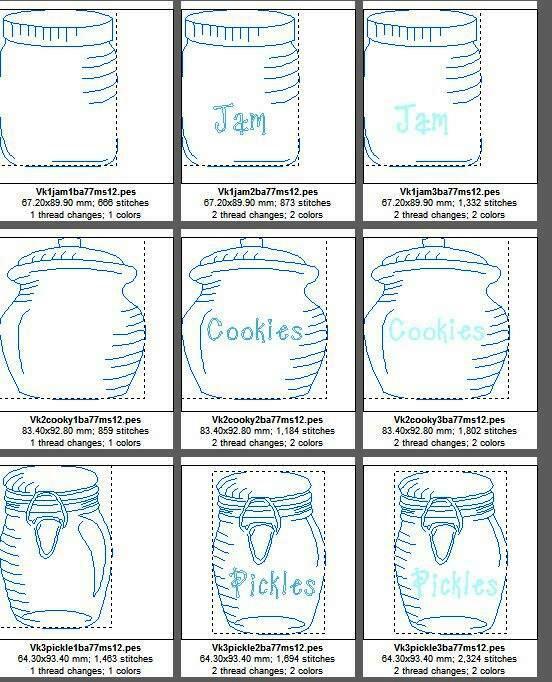 The Jam Jar, the Pickle Jar and the Cookie Jar each carry a distinct vintage flavor that bring to mind days of old when life seemed simple – even though the work to fill the jars was not. Whether these designs speak to you of childhood memories or a desire for simple days of times past that you may have read about in a novel, I hope you will enjoy embroidering a jar or two. Add them to kitchen towels, potholders, placemats, or anything your creativity can imagine.